Bariatric surgery (best weight loss surgery) is the only scientifically proven method for long term and effective weight loss. Bariatric Surgery means modification or alteration of the gastrointestinal tract to induce weight loss. It includes a range of procedures from simple restrictive to combined restrictive and malabsorptive. Majority of the obese individuals fail to reduce weight by diet restriction and regular exercise. Even if they lose initially, weight is regained due to the effect of fat set point. Depending upon the age, BMI, food habits, social habits, dietary pattern, co-morbidity status and patient compliance, an appropriate weight loss procedure is chosen by the bariatric surgeon after thorough psychological evaluation of the patient. All bariatric and metabolic procedures are done laparoscopically. It is a painless, minimally invasive, stitch less procedure with the patient being in the hospital for 3 days. In addition to weight loss, bariatric surgery results in resolution of medical problems like type 2 diabetes, hypertension, obstructive sleep apnea, hyperlipidemias in significant number of patients. This resolution is more after sleeve gastrectomy and diversion procedures compared to purely restrictive operations. Reason behind this resolution is due to the alteration of gut hormones like GLP 1, that control insulin production and action, Ghrelin, anti Incretins in addition to weight loss and calorie restriction. Due to these positive effects Laparoscopic Metabolic Surgery is developed to cure Type 2 Diabetes. Loop Duodenojejunal Bypass with Sleeve Gastrectomy (LDJB-SG) and Sleeve Gastrectomy with Jejuno-Ileal Interposition (SG-JII) are the most effective surgeries to cure Type 2 Diabetes. These operations result in resolution of Type 2 Diabetes in majority of the patients regardless of their weight. Obesity is a chronic disease caused because of long-term positive energy balance; the intake of calories is more than the expenditure of energy. This results in progressive accumulation of body fat that might have a negative effect on the health. Who is an ideal candidate for bariatric surgery? According to a paper published by the Asian Consensus Meeting on Metabolic Surgery, bariatric surgery is an option for those who have a BMI of above 30 kg/m2 with other conditions, as listed above; or above 35 kg/m2 without other conditions. Bariatric surgeries are effective in weight loss as well as diabetes. Various types of metabolic surgeries like gastric bypass help in losing weight by reducing stomach size. The surgery reduces your food intake capacity and hence, you will shed off extra fat after surgery. Bariatric surgery is suggested when a person is not able to lose weight with physical exercises and dieting. Through these weight loss surgeries, one can bring positive changes to their health. The surgery reduces the size of the stomach and thereby reduces the eating capacity. While some surgeries are irreversible, some are reversible. The bariatric surgeries are safe if the side effects are prevented through proper patient care and medical care. How do i know if i need Bariatric Surgery? At CODSILS, eligibility for surgery is determined through a series of tests and examinations by our team of medical experts. Our first priority is to evaluate a patient’s health and understand their lifestyle before suggesting surgery. We always recommend an immediate change in diet and physical activity to begin managing symptoms. If surgery is necessary, we will guide you through a perfected holistic protocol, helping you navigate the process easily and expertly. What kind of surgery i require? The team of medical experts at CODSILS will educate and assist you. We work with you to make the safest and best choice, based on medical examinations and your own needs. It is imperative that you follow our advice, both pre-and post-surgery and remain committed to following up with us. Together, we can change your life for the better. Sleeve Gastrectomy Surgery has become of the most popular and commonly performed bariatric procedure at our center. It is an irreversible procedure in which a small banana shaped stomach is created by surgically removing two thirds of it. Since the procedure reduces the stomach size and also eliminates ‘ghrelin’, the hunger inducing hormone, you will feel satiated with smaller portions of food and start losing weigh quickly without developing any kind of weakness. Gastric sleeve surgery is one of the restrictive types of bariatric surgery. This surgery can also be referred to medically as gastric sleeve resection, sleeve gastrectomy, tube gastrectomy or laparoscopic sleeve gastrectomy. Is LSG a good choice for me? You should first know the risks and benefits of sleeve gastrectomy, mini gastric bypass and Roux-en -y gastric bypass. For high-risk patients and super obese patients, we advise LSG as a first-stage procedure prior to gastric bypass. Ultimately, the decision regarding which procedure to perform is based on each patient’s operative risk, their expectations and goals for surgical weight-loss and is decided by a bariatric surgeon (Codsils – Dr. Amit Garg). 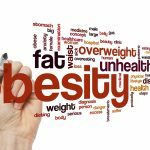 What are the risks of sleeve gastrectomy surgery? Minimal hair loss, vitamin B12 and Iron deficiency anemia are the main side effects. However, they are rare and can be managed with medications. As sleeve only restricts the amount of food you can consume post-surgery, there are no long term complications either. Complications that can happen include a leak from the sleeve resulting in an infection or abscess, deep venous thrombosis or pulmonary embolism, narrowing of the sleeve (stricture). However, at our center, the total complication rate is less than 1% which is similar to other procedures, like a gall bladder or hernia surgery. Do i need to take bed rest after the sleeve gastrectomy surgery? We encourage you to walk 3 – 4 hours after the surgery, as being active and mobile reduces the risk of deep vein thrombosis. On third day, you are discharged from the hospital and you can return to work within a week. Will i ever regain weight after sleeve gastrectomy surgery? Yes you can if you are not careful with the intake of high calorie liquids or junk food as consumption of them could lead to increased caloric intake. Long term over eating can cause stretching/ dilatation of the sleeve which can lead to weight regain. Good healthy eating habits and regular exercise form the cornerstones of success after bariatric surgery. What will be my diet after sleeve gastrectomy surgery? You will need to be on a liquid diet for first 15 days after the surgery. This is followed by 15 days of semi-solid foods and then you progress onto solids. Within 2 months you can have all kinds of foods though in limited quantities. What is banded sleeve gastrectomy surgery? Few of the patients have a habit of over eating and in such cases sleeve can dilate because of the repeated pushes with food from inside. In order to prevent sleeve dilatation, a non-adjustable band can be placed on the upper part of the sleeve. For the long term (> 10 years) success of sleeve gastrectomy, this can be a preferred. What is the cost of sleeve gastrectomy surgery? Sleeve Gastrectomy surgery cost varies from 2.5 lakhs to 4 lakhs based on the patients BMI, comorbid conditions, room category & hospital choice. How sleeve gastrectomy surgery works? Sleeve Gastrectomy Surgery is a restrictive procedure. In this, about 80 % of the stomach is removed so that it takes the shape of a sleeve or a banana. This greatly reduces the size of the stomach and limits the amount of food that can be eaten at one time. Surgery for weight loss is caused by two mechanisms - First is restriction because of a smaller stomach size and secondly removing the part of the stomach that produces the “hunger hormone” (ghrelin) contributes to the weight loss by reducing the appetite. Sleeve Gastrectomy Surgery also results in alteration of several gastro intestinal hormone levels in the body resulting in resetting of the set point of food storage to a lower level. 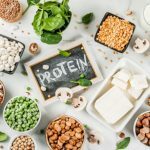 These hormonal changes include reduced Ghrelin, increased GLP-1, Peptide YY and Amylin, resulting in reduced appetite and increased energy expenditure. It is fairly a simple procedure that takes about 60-90 minutes to perform and requires 3 to 4 nights stay in the hospital. Laparoscopic gastric greater curvature plication halves the size of your stomach to limit the amount of food you can eat at any one time. This is achieved by folding the stomach wall inward and suturing it (No cutting, no stapling) in 2 layers using Dr. C.K. Huang’s Gastric plication formula. Gastric plication involves in folding of your stomach along the greater curvature in 2 layers. Stitches are placed in the stomach to secure the folded stomach wall. This reduces the stomach volume by as much as 70 percent. As such, your stomach can no longer hold the volume of food it used to. You will feel fuller sooner, and this results in weight loss. Most of patients lose 40 - 60 percent of their excess body weight during the first year after gastric plication surgery. As with other procedures that cause massive weight loss, there may also be improvements in many obesity-related conditions like diabetes, high blood pressure, sleep apnea and abnormal cholesterol levels. 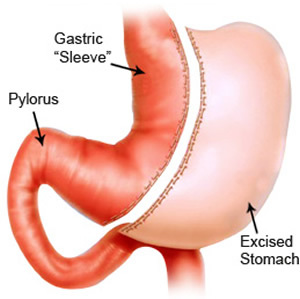 Unlike other bariatric surgery procedures, there is no stapling involved with gastric plication. No part of the stomach or intestines is cut or removed either. They are just folded from within. Gastric plication can be reversed to normal anatomy or revised to any other procedure. Is gastric plication good choice for me? The best and only way to determine which, if any, bariatric surgery is right for you is to schedule a consultation. We will take a thorough obesity history and discuss all of the alternatives, including gastric plication and adjustable gastric banded plication or sleeve gastrectomy. What to expect during and after gastric plication? Gastric plication takes 2 hours to perform. Many people will stay in the hospital for up to two days after the procedure. Your recovery begins almost immediately after the surgery as you gradually begin to get used to your new way of eating. This starts with a two-week liquid diet that likely will include water, milk, coconut water, fruit juice and lime juice. The next few weeks will involve thicker liquids such as soup with some vegetables, and eventually you can try yogurts and fruits. After this, you will be able to eat all foods in restricted amounts. What are the benefits of gastric plication? Physiological, less invasive and more conservative with reversible potency. No/minimal requirement for supplementation of calcium and multivitamins after adequate weight loss is achieved. What are the disadvantages of laparoscopic gastric plication? Requires intensive behavioral and life style modification for the long term success of the procedure. Plication may get dilated over a period of time if one does not change his/her eating habits. What are the risks of laparoscopic gastric plication? 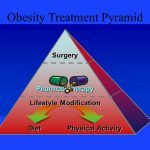 When we discuss the risks of any bariatric surgery, they must be compared to the serious risks associated with obesity. 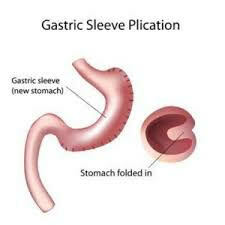 Risks of gastric plication include bleeding, blood clots, infection, and injury to other organs. Will i ever regain weight after this surgery? Yes, you can if you are not careful with the intake of high calorie liquids or junk food as consumption of them could lead to increased caloric intake. With any bariatric procedure, restriction is only for solid food but not for high calorie liquids or sweets. 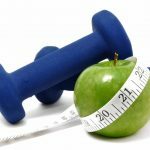 Good healthy eating habits and regular exercise form the cornerstones of success after bariatric surgery. What will be my diet after the surgery? You will need to be on a liquid diet for first 15 days after the surgery. This is followed by 15 days of semi-solid foods and then you progress onto solids. Within 2 to 3 months you can have all kinds of foods though in limited quantities. Do i need to take bed rest after the surgery? Laparoscopic gastric plication has emerged as a new bariatric procedure with promising results. This paved the path for further innovation and conception of a new procedure known as “Laparoscopic Adjustable Gastric Banded Plication”. This dual restrictive procedure involves gastric greater curvature placation or infolding of the stomach to form a gastric sleeve followed by placement of an adjustable band in the upper part of the stomach. Combination of Gastric plication and gastric banding makes it dual restrictive with powerful weight loss comparable to sleeve gastrectomy and gastric bypass surgery. The rationale behind this surgery is that the plication “switches on” the initial weight loss process. Then adjustment of band further initiates the second phase of weight loss and maintains the success through serial adjustments. In addition to quicker weight loss from gastric plication, far less adjustments are required than with just having the band alone. 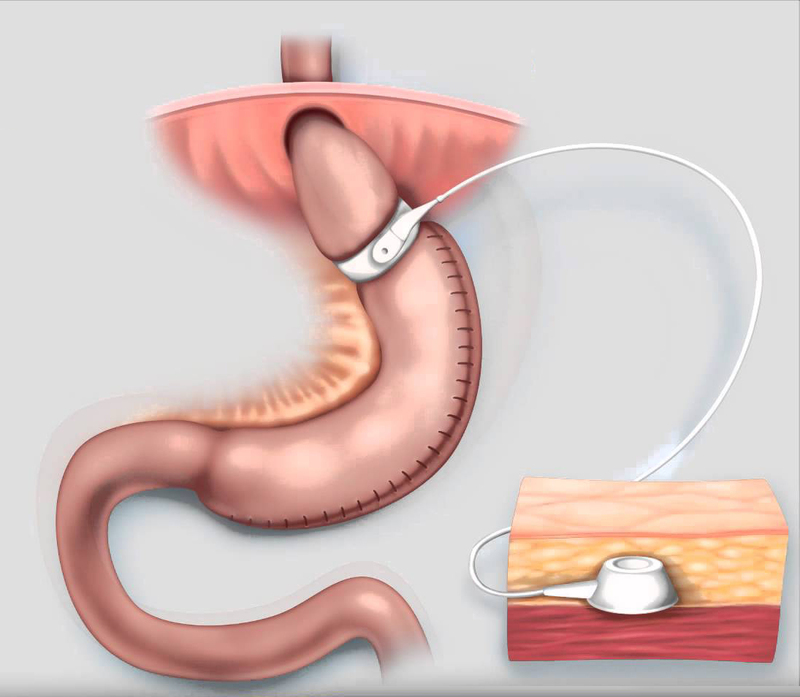 In LAGBP, the disadvantages of gastric banding and gastric plication are taken off by each other. Gastric band doesn’t let plication to dilate over a period of time and gastric band doesn’t slip now because of the plicated stomach. Unlike other bariatric surgery procedures, there is no stapling involved with LAGBP. No part of the stomach or intestines is cut or removed either. They are just folded from within followed by band placement. LAGBP can be reversed to normal anatomy or revised to any other procedure. IS GASTRIC PLICATION SURGERY GOOD CHOICE FOR ME? The best and only way to determine which, if any, bariatric surgery is right for you is to schedule a consultation. We will take a thorough obesity history and discuss all of the alternatives, including sleeve Gastrectomy and gastric bypass surgery. WHAT TO EXPECT DURING AND AFTER LAPAROSCOPIC GASTRIC PLICATION SURGERY? It takes 2-3 hours to perform. Many people will stay in the hospital for up to two days after the procedure. Your recovery begins almost immediately after the surgery as you gradually begin to get used to your new way of eating. This starts with a two-week liquid diet that likely will include water, milk, coconut water, fruit juice and lime juice. The next few weeks will involve thicker liquids such as soup with some vegetables, and eventually you can try yogurts and fruits. After this, you will be able to eat all foods in restricted amounts. We start Band adjustments 3 months after the surgery. WHAT ARE THE BENEFITS OF LAPAROSCOPIC GASTRIC PLICATION SURGERY? WHAT ARE THE RISKS OF LAPAROSCOPIC ADJUSTABLE GASTRIC BANDED PLICATION? DO I NEED TO TAKE BED REST AFTER THE LAPAROSCOPIC GASTRIC PLICATION SURGERY? We encourage you to walk 2-3 hours after the surgery as being active and mobile reduces the risk of deep vein thrombosis. On third day, you are discharged from the hospital and you can return to work within a week. WILL I EVER REGAIN WEIGHT AFTER LAPAROSCOPIC GASTRIC PLICATION SURGERY? Yes you can if you are not careful with the intake of high calorie liquids or junk food as consumption of them could lead to increased caloric intake. With any bariatric procedure, restriction is only for solid food but not for high calorie liquids or sweets. Good healthy eating habits and regular exercise form the cornerstones of success after bariatric surgery. WHAT WILL BE MY DIET AFTER THE LAPAROSCOPIC GASTRIC PLICATION SURGERY? WHAT IS THE COST OF LAPAROSCOPIC GASTRIC PLICATION SURGERY? Gastric plication surgery cost varies from 2.5 lakhs to 4 lakhs based on the patients BMI, comorbid conditions, room category & hospital choice. Mini Gastric Bypass Surgery also known as single anastomosis gastric bypass, in which a long gastric pouch is created and is directly attached to the small intestine. It is a simple, safe, rapid and powerful bariatric operation. It leads to an excess weight loss of 70 to 80% at the end of 2 years. Patients need to be on nutritional supplements like iron, calcium, proteins and multivitamins for life. 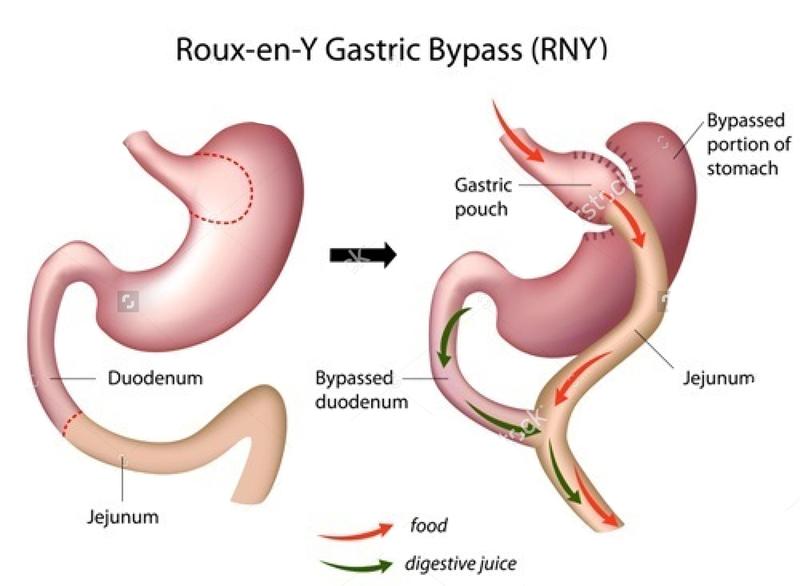 Mini Gastric Bypass (MGB) is a modification of Roux en y gastric bypass. 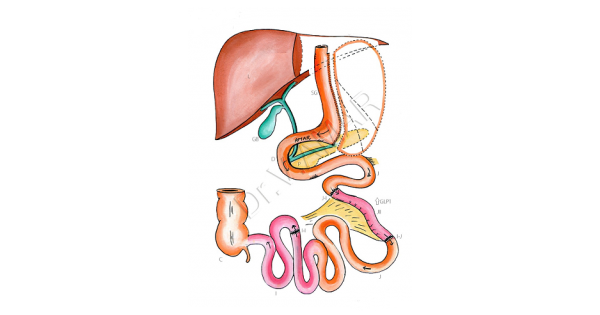 In this procedure, a long gastric sleeve is created along the lesser curvature starting 3cm before the pylorus and is directly connected to small intestine with a bigger (4cm) anastomosis, bypassing the duodenum and proximal jejunum. Because of this bigger anastomosis, patient can eat much more than a Roux en y gastric bypass patient. Unlike gastric bypass surgery, digestive enzymes and bile are not diverted away from the stomach after mini gastric bypass. It is mainly a mal-absorptive procedure. IS MINI GASTRIC BYPASS A GOOD CHOICE FOR ME? You should first know the risks and benefits of all common bariatric procedures. For high-risk patients and super obese patients, we advise mini gastric bypass procedure. Ultimately, the decision regarding which procedure to perform is based on each patient’s operative risk and their expectations and goals for surgical weight-loss and is decided by a bariatric surgeon. We will take a thorough obesity history and discuss all of the alternatives, including sleeve Gastrectomy and gastric bypass surgery. We advise Mini gastric bypass surgery for super obese, non-smoker, non-vegetarian patients. WHAT ARE THE ADVANTAGES OF MINI GASTRIC BYPASS SURGERY? Patient can eat much more than any other bariatric procedure because of longer pouch and bigger anastomosis at gastrojejunostomy. 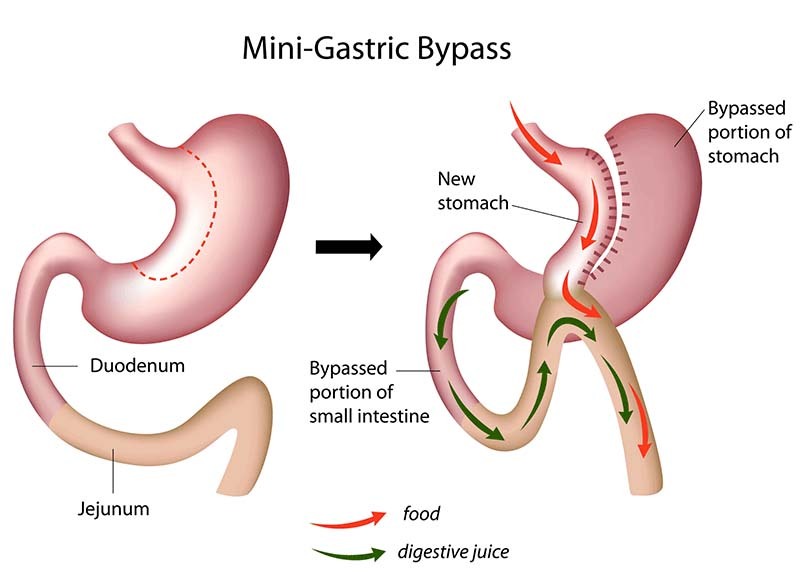 WHAT ARE THE DIS-ADVANTAGES OF MINI GASTRIC BYPASS SURGERY? Requires lifelong nutritional supplements like iron, calcium, proteins and multi-vitamins. Not much suitable for vegetarian patients and smokers. Dumping syndrome, Marginal ulcers and malnutrition can occur if proper diet or instructions are not followed post-surgery. HOW LONG WILL IT TAKE BEFORE I CAN SEE RESULTS AFTER MINI GASTRIC BYPASS SURGERY? The patient will lose 60 – 80% of their excess weight in the first two years after the procedure. In first 3-4 months, weight loss is the maximum, after which the rate of weight loss slows down to 3-7 Kgs/ month depending on initial BMI of the patient and patient’s willingness to follow health lifestyle and eating habits. HOW LONG IS THE MINI GASTRIC BYPASS SURGERY? IS IT PAINFUL? Laparoscopic Mini gastric bypass takes about 90-120 minutes to perform and requires 2-3 nights in the hospital post-surgery. During the surgery you will be under general anesthesia and won’t feel any pain. Post-surgery, you will be shifted to the recovery room where you will be kept under observation for 3-4 hours. You will be ambulated in the recovery room before shifting to the private room. WHAT PRECAUTION DO I NEED TO TAKE AFTER THE MINI GASTRIC BYPASS SURGERY? After Mini gastric bypass, you will be able to eat much more than patients who have undergone a gastric bypass or a sleeve gastrectomy. You have to eat diet rich in proteins, calcium and iron. Eating sweets, high carbohydrate diet, eating too much and drinking water after food can cause ‘dumping syndrome’. It occurs as a result of food passing too quickly into the intestine. The symptoms of dumping syndrome are: Nausea, diarrhea, weakness, vomiting, palpitations, sweating and a sense of fullness accompanied by discomfort. The best treatment is to keep a note of problem foods and avoid their intake. Dumping syndrome often improves on its own without medical treatment or after adjusting your diet. Avoid smoking as it can cause marginal ulcers. WHAT ARE THE RISKS OF MINI GASTRIC BYPASS PROCEDURE? Complications that can happen include bleeding, infection, internal herniation, malnutrition and a leak from the site of anastomosis i.e. gastrojejunostomy resulting in an infection or abscess, deep venous thrombosis or pulmonary embolism. 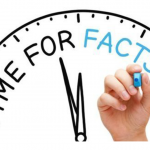 However, at our center, the total complication rate is less than 1% which is similar to other procedures, like a gall bladder or hernia surgery. We encourage you to walk 3-4 hours after the surgery as being active and mobile reduces the risk of deep vein thrombosis. On third day, you are discharged from the hospital and you can return to work within a week. WHAT WILL BE MY DIET AFTER THE MINI GASTRIC BYPASS SURGERY? You will need to be on a liquid diet for first 7 days after the surgery. This is followed by 15 days of semi-solid foods and then you progress onto solids. Within one month, you can have all kinds of foods. WHAT IS THE COST OF MINI GASTRIC BYPASS SURGERY? Mini gastric bypass surgery cost varies from 3 lakhs to 5 lakhs based on the patients BMI, comorbid conditions, room category & hospital choice. Laparoscopic roux-en-Y Gastric Bypass is a reversible weight loss procedure that reduces the size of your stomach to a small 30cc pouch and making food bypass the beginning of the small intestine. This reduces your appetite and makes you feel satiated with smaller portions. LRYGB can help you lose up to 60 – 80% of your excess weight in a period of approximately 2 years. LRYGB is a mixed restrictive & malabsorptive procedure. In this procedure, special stapling instruments are used to separate about 10% of the stomach to create a new small 30 cc gastric pouch. The remaining stomach is not removed. The outlet from this newly formed gastric pouch is connected to the small intestine (Alimentary limb) so that food empties directly into the lower portion of the intestine (Small Intestine Common Channel) bypassing the stomach. Digestive juices produced by the stomach, pancreas, gall bladder and duodenum are directed by the Billio-Pancreatic Limb back into the common channel in a “Y” shape hookup that gives the technique its name (Roux-en-Y Gastric Bypass). The small gastric pouch causes patients to feel full sooner and eat less (restriction); bypassing a portion of the intestine means the patient’s body absorbs fewer calories (malabsorption). IS GASTRIC BYPASS A GOOD CHOICE FOR ME? You should first know the risks and benefits of all common bariatric procedures. For high-risk patients and super obese patients, we advise LSG as a first-stage procedure prior to gastric bypass. Ultimately, the decision regarding which procedure to perform is based on each patient’s operative risk and their expectations and goals for surgical weight-loss and is decided by a bariatric surgeon. HOW LONG IS THE SURGERY? IS IT PAINFUL? Laparoscopic gastric bypass takes about 120- 150 minutes to perform and requires 2-3 nights in the hospital post-surgery. During the surgery you will be under general anesthesia and won’t feel any pain. WHAT PRECAUTION DO I NEED TO TAKE AFTER THE SURGERY? After LRYGB, you will be able to eat less because of small stomach pouch. You have to eat small bites and chew the food in mouth properly before you swallow it. Eating sweets, high carbohydrate diet, eating too much and drinking water after food can cause ‘dumping syndrome’. It occurs as a result of food passing too quickly into the intestine. The symptoms of dumping syndrome are: Nausea, diarrhea, weakness, vomiting, palpitations, sweating and a sense of fullness accompanied by discomfort. The best treatment is to keep a note of problem foods and avoid their intake. Dumping syndrome often improves on its own without medical treatment or after adjusting your diet. Avoid smoking as it can cause marginal ulcers. WHAT ARE THE RISKS OF GASTRIC BYPASS? Complications that can happen include a leak from the site of anastomosis i.e. gastrojejunostomy and jejunojeunostomy resulting in an infection or abscess, deep venous thrombosis or pulmonary embolism. Internal herniation can happen because of the mesenteric defects created even though both the defects are closed during surgery. However, at our center, the total complication rate is less than 1% which is similar to other procedures, like a gall bladder or hernia surgery. HOW LONG WILL IT TAKE BEFORE I CAN SEE RESULTS? The patient will lose 60 – 80 percent of their excess weight in the first two years after the procedure. In first 3-4 months, weight loss is the maximum, after which the rate of weight loss slows down. It further depends on initial BMI the patient and patient’s willingness to follow health lifestyle and eating habits. WHAT IS THE COST OF ROUX-EN GASTRIC BYPASS SURGERY? ROUX-EN-Y gastric bypass cost varies from 3 lakhs to 5 lakhs based on the patients BMI, comorbid conditions, room category & hospital choice. Revisional bariatic surgery is a surgical procedure that is performed on patients who have already undergone a form of bariatric surgery, and have either had complications from such surgery or have not successfully achieved significant weight loss results from the initial surgery. Procedures are usually performed laparoscopically, though open surgery may be required if prior bariatric surgery has resulted in extensive scarring. Do i need Revisional Bariatric Surgery? Many bariatric procedures have been described throughout the years and some of these procedures are no longer performed. The indications for revisions can be many and they vary depending on the primary procedure. Below is a list some of the most common reasons why patients might need a revision. The list below is for educational purposes only and just because you experience one or more of the below mentioned problems doesn’t mean that you need a revision. You need to discuss your particular situation with your doctor surgeon.